Sisters Sarah and Angelina Grimke were educators, writers and orators who became early advocates of abolition and women’s rights. Despite growing up in a slave-holding family, they were among the first southern women to speak out against slavery. Charleston native, Josephine Humphreys is a an award winning novelist and recipient of many prestigious prizes. "I love Charleston's stories. We preserve, rediscover, whisper, deny, and create them." 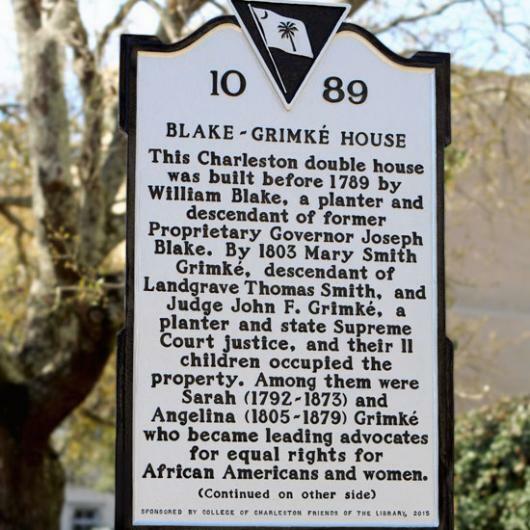 The Grimke sister were the first female anti-slavery advocates to address mixed-gender audiences in public venues.